Actors can come and go but very few manage to paint a career to span over 6 decades. Yesterday the world was forced to say goodbye to such a legend and the film industry left a little empty with the passing of the great Dev Anand,who despite being 88 years of age was loved for his ever youthful personality. 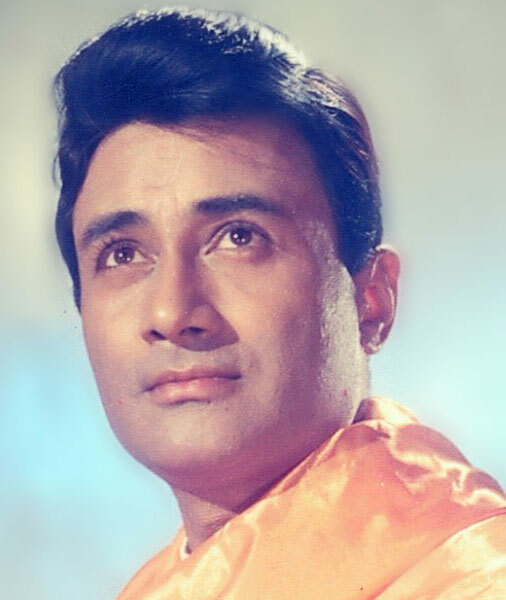 The ‘Evergreen Romantic Superstar’ passed away during the night in London following a cardiac arrest. His son Suneil stayed by his father’s bedside throughout the night. It is understood that he had attended a medical check up in London as a result of continuos ill health over the past few days. Dev was born 26 September 1923 to the proud Punjabi-speaking Anand family. After graduation from Government College, Lahore, British India a young Dev Anand left his hometown to travel to Bombay for work at a Military Censor Office. The film industry was soon to get acquainted with the youthful vibrant figure when he was offered a role in the 1946 flick Hum Ek Hain. After the success of his 1947 release Ziddi Anand was a superstar and his success continued to grow acting in over 110 films. Paying Guest, Jewel Thief, Baazi, CID, Johny Mera Naam, Amir Garib, Warrant, Hare Rama Hare Krishna and Des Pardes are just a few films on Anand’s list of countless hits. 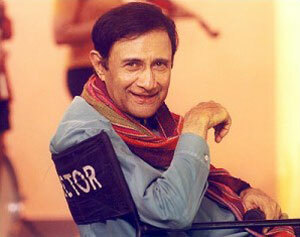 To add to his success Dev Anand boasts a larger than life list of awards and recognitions. As an actor he won Filmfare Awards for his performances in Kala Paani (1958) and Guide (1966), a film which was India’s entry into the foreign film category at the Oscars that year. In 1993, Filmfare award him with the Lifetime Achievement Award and also received a similar award in 1996 from Screen Videocon. The list of awards for lifetime achievement include the Mumbai Academy of Moving Images award in 1997, the Ujala Anandlok Film Committee of Calcutta, in 1998, Sansui ‘Lifetime Achievement Award’ of New Delhi, in 1999 and the Film Goers’ ‘Mega Movie Maestro of the Millenium’ award of Mumbai in 2000 and most recently by the F.I.F.A. Committee in Johannesburg, South Africa, 2003. In 2001 on India’s Republic Day, Anand was honored by the President of India with the prestigious Padma Bhushan Award but the awards did not stop there! In July 2000, he was invited to New York City to be honored by the then First Lady of the USA – Mrs. Hillary Clinton. Cementing himself as a successful actor was not enough for Anand who looked to widen his skills in film production. In 1949, his production company ‘Navketan International Films’ and went on to produce more than 35 films under the banner. Through his work in production he has introduced a multitude of talent to the industry. Anand Recording Studios, state of the art sound facilities headed by Dev Anand, also has its name to more than 3,000 feature films. As of recent Dev Anand celebrated the release of his film Chargesheet, in which he acted along side Divya Dutta and Naseeruddin Shah. He was also due to play the central character in his all American film project Song of Life. Be through his love of acting, his dedication to film production or his soft heart for romance Anand has gained the respect of all his colleagues, a role model to many contemporaries from all parts of the industry and an inspiration to his fans. In reaction to the news stars flocked to twitter to pay their respects. Here are just a few of the first tweets from all who loved the star. Mr Dev Anand has influenced many to follow their dreams and romanced audiences like no other. His light will continue to shine and influence many more in the years to come. While this news saddens a world of movie lovers, we at BollySpice would like to pay our respects to a legend who has been so influential in the Indian film industry and keep our thoughts with his family at this difficult time. 17 queries in 0.421 seconds.